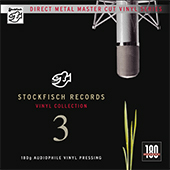 The first sampler released by Stockfisch-Records with a collection of 17 tracks. Although taken from different CD productions, these titles reveal a close relationship to sound and interpretation. 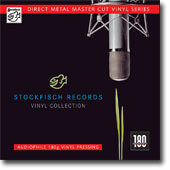 73 pleasant minutes illustrating clearly the philosophy of Stockfisch-Records: closer to the music! Moreover, this compilation contains for the first time 3 multi-channel mixes in surround sound, among them a beautiful song from our Grammy 2015 nominated SACD featuring the wonderful Chinese singer Song Zuying and the China Philharmonic Orchestra. "The eighteen selections are from current releases and upcoming projects. In essence this is a representation of the unique eminence of this label…that is acoustic music defined by pristine engineering." You will listen to recent recordings of known artists like Sara K., Allan Taylor, Eugene Ruffolo and David Munyon , but also to new Stockfisch-discoveries like Dennis Kolen (NL), Paul O´Brien (CDN), BEOGA (IRL), Carl & Parissa (AUS), Beo Brockhausen (D) and more. 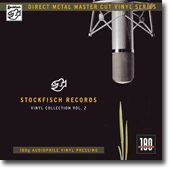 We compiled the tracks for this Vinyl Collection Vol.2 following the established criteria of the „closer to the music“ compilations: On one hand we want to offer samples of current Stockfisch albums, on the other hand we would like to give a sneak peek on our future CDs. Our Hybrid-SACDs include a 16bit hybrid layer and can therefore be played on any CD-Player! • SACD stereo sound requires SACD player for playback.